In a few weeks I’ll be back in the arctic. This time for skiing. It almost feels rutinary to be back in the arctic: I’ve been doing it now for quite a few years in many different kind of trips. 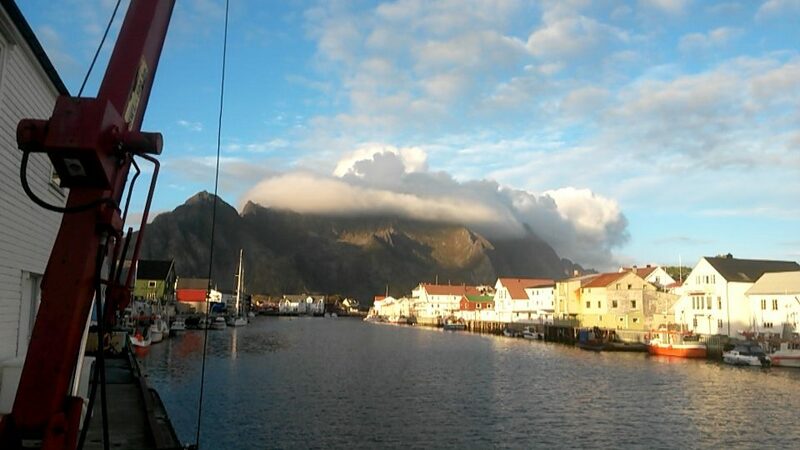 However it has always felt like home: its landscapes, its seas, its winds, its folks, its lights, its mountains…As I tend to say: “you will most likely meet me on stormy weathers where mountains meet the ocean”. 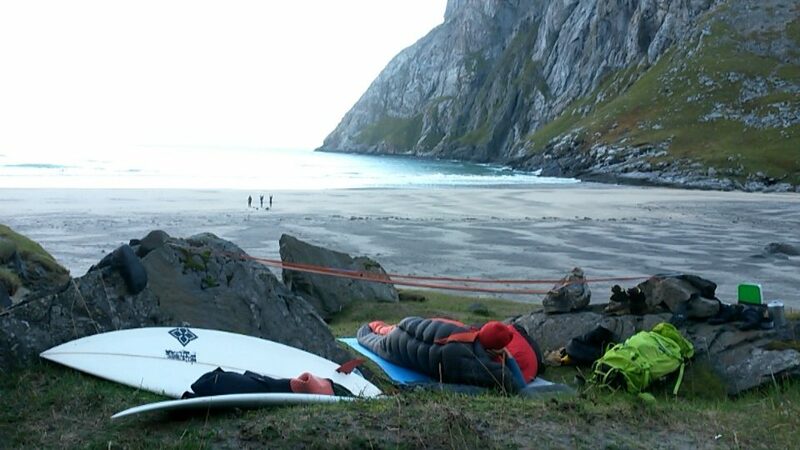 Been this week back on the coast, back to surfing and finishing to plan this next trip has made me finally get a hold on writing this chronicle about the surf trip to arctic Norway of almost two years ago. 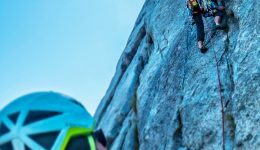 Back then Onthebelay was not existing yet, so it was about tie for this write up. 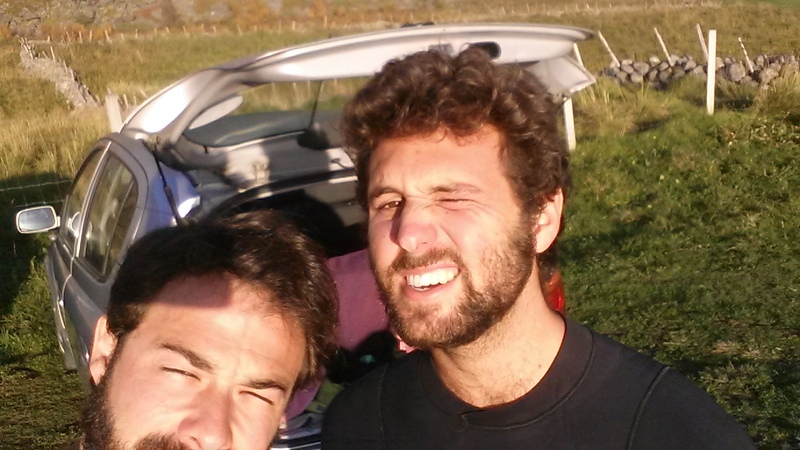 At the time of that trip, I had lived for almost a year and a half in Chamonix. 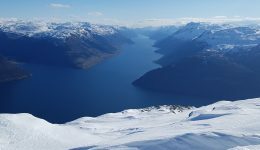 I was not only craving been back in Norway, but as well feeling the ocean gliding through my fingers from my surfboard. 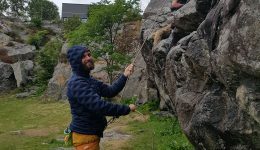 Roman, is a great mate that I had worked with a few years guiding in the fjords and as well gone with on a few adventures. 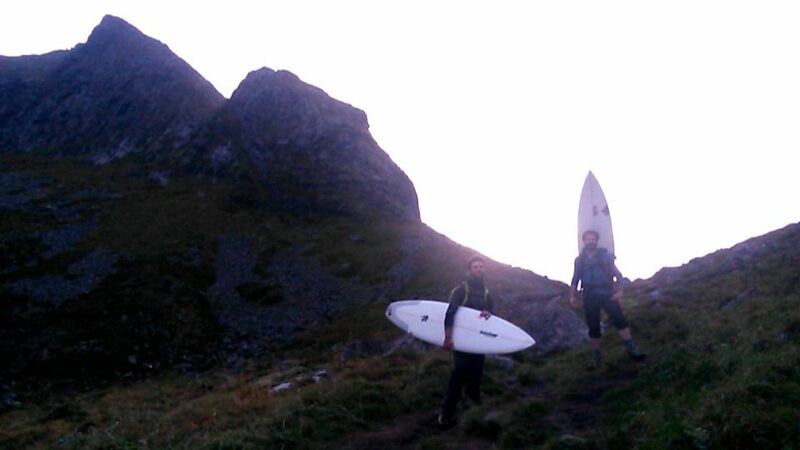 He had as well some weeks off, so we decided to bring our surfboards up there and see what was this all about. We went for a bit longer than a month, from mid september to mid october. I like to travel drawing a few big lines, but without really getting lost in details and having enough time for taking things easy. 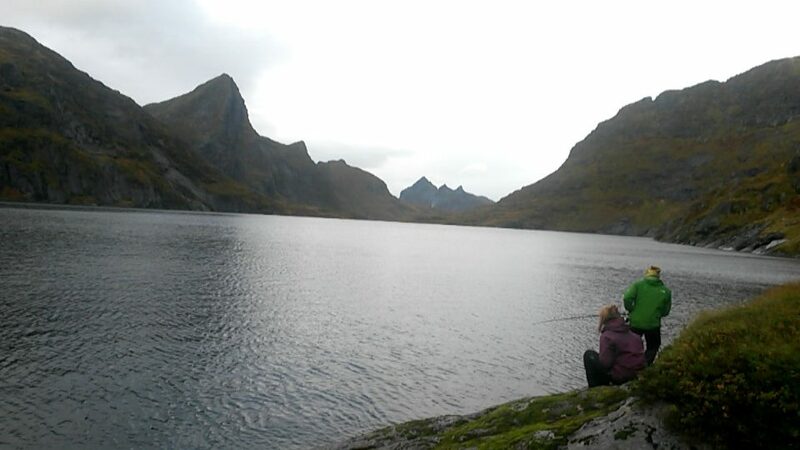 We would be around Tromsø for a few days visiting some friends and then we would go to Lofoten. 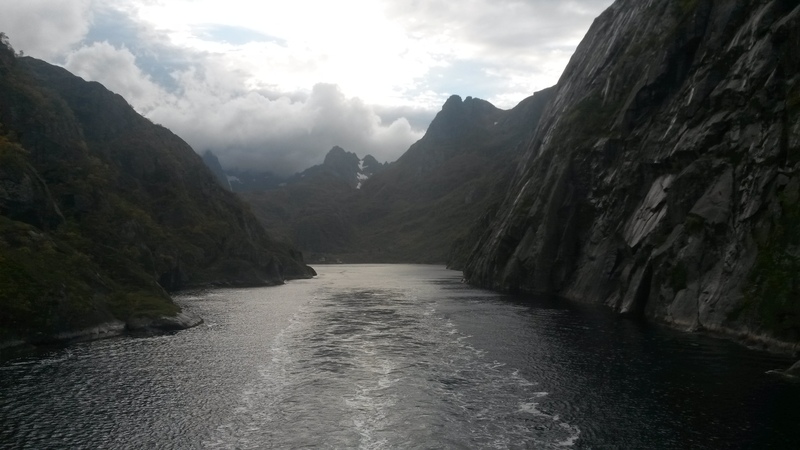 We took the Hurtigruten, the old coastal express, and according to Lonely planet: “The finest sea journey in the world”. Lonely planet loves this kind of bold statements, they must sell well. 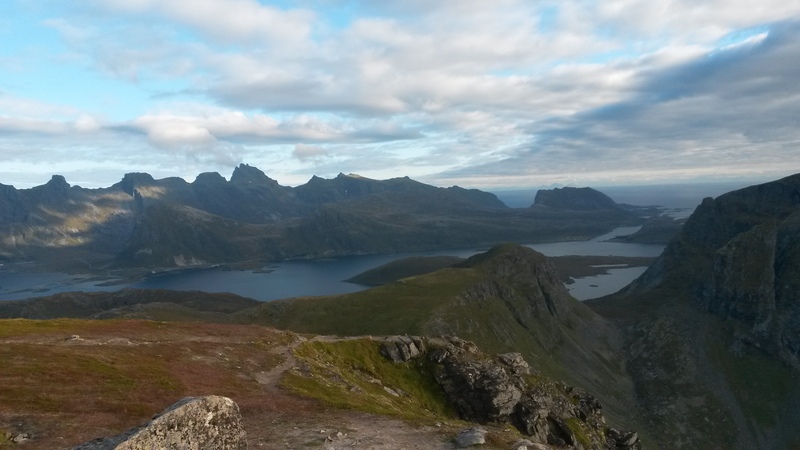 It may be true, but for sure from Tromsø to Leknes the journey was breathtaking. More over it’s a really nice boat, really good food, and it’s quite flattering been on the jacuzzi on the deck while looking at the landscape. 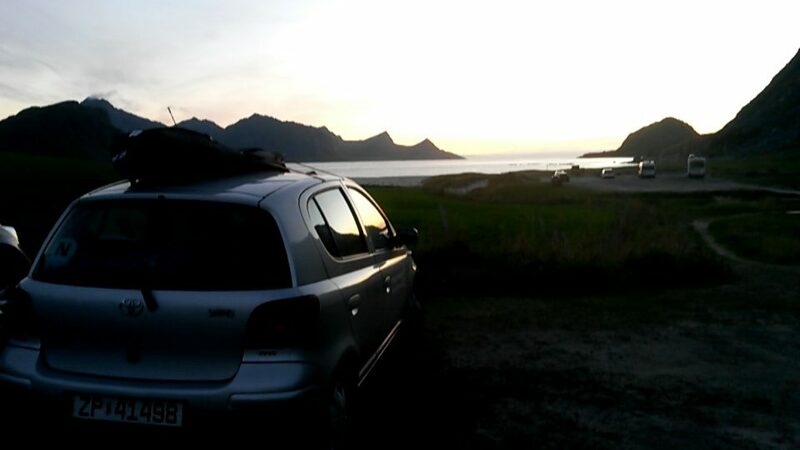 We rented a car in Tromsø and we achieved to borrow a summer house in a little village on the coast, Eggum. Actually we got it borrowed from the stepmom of Jørn, that the previous year had made the movie “northern from the sun”. That’s convenient! As if Karma hadn’t been good enough with us, our only neighbor, Jørgen, was one of those old sea wolves. At age seventy, he had been year after year on the cod season since he was fourteen. He was pretty much the sheriff of the village, from our broken Norwegian we understood that he was owning the harbour and several of the modern boats, but still his thing was waking up at sunrise, go check on his little heard of semi wild sheeps, prepare his traditional wooden boat, bring us some cod, and talk us into not going to the mountains and go check some hidden beaches. I think he was probably the only one in the whole island that encouraged us to go to the ocean on stormy days. A true alpha. 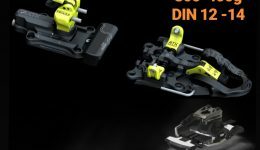 Ok, now we have wheels, a base camp, some ideas of where to get started, all our bivouac gear and all the energy for getting started. 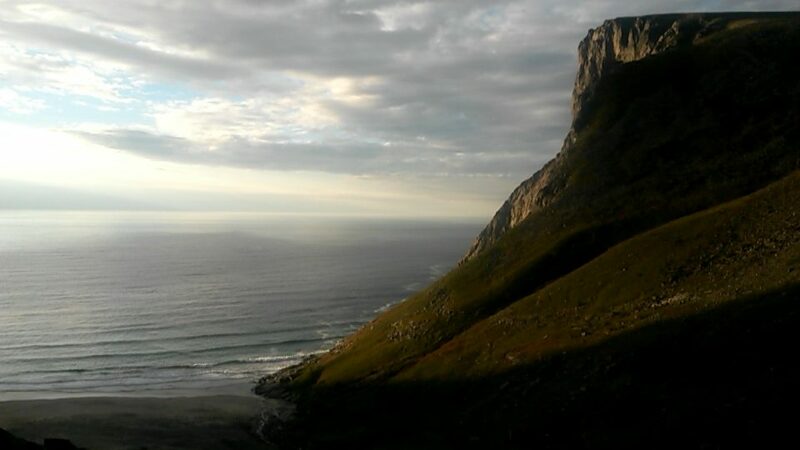 Unstad is the most famous beach for surfing in Lofoten, a small farmers village at the end of a mountain looking valley that happens to miraculously have one of the most stunning beaches you’ve probably encountered with that characteristic massive pillar of granite popping off where the white sand meets the green pastures. It has a big surf camp and a surf shop, it’s the place that gathers the ambiance and surf vibe. The beach is really open to the ocean and even though it’s a sand beach it is partially covered with boulders of granite; some the size of a football, but some are big. 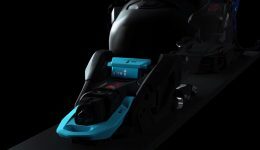 As you were wondering Unstad surf is B-I-G! 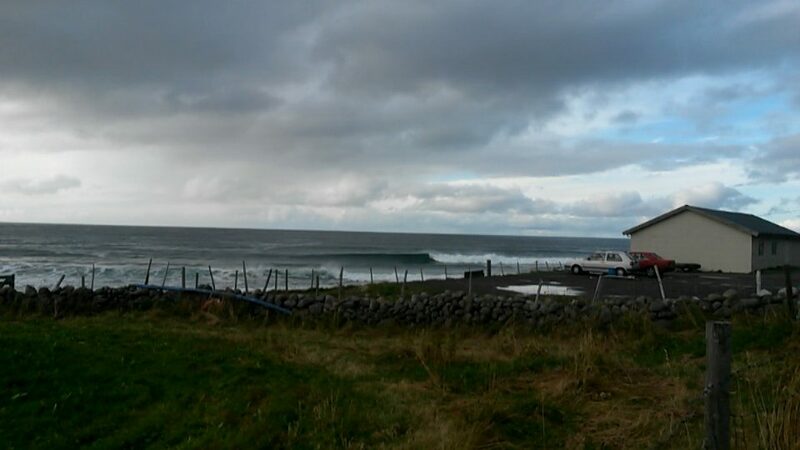 There is a left point break starting in the rocks of the right hand side of the beach that holds really big swells. Towards the center and left hand side there are several beach breaks less challenging to surf. It feels like there’s always waves out there, even on small swells and the beach works in all tides. In the fall, there were always some people in the water but it was never crowded. However considering the size of the surf camp and the billboards that regulate the parking, it looks like it can get pretty packed during the season. We stated surfing there the first days. Sea temperature was around 11º, and ambiance temperature was around 4º to 12º. Some morning it could ice and even snow on top of the mountains, however, if the sun was out, you could feel some heat. Wind was always on point. 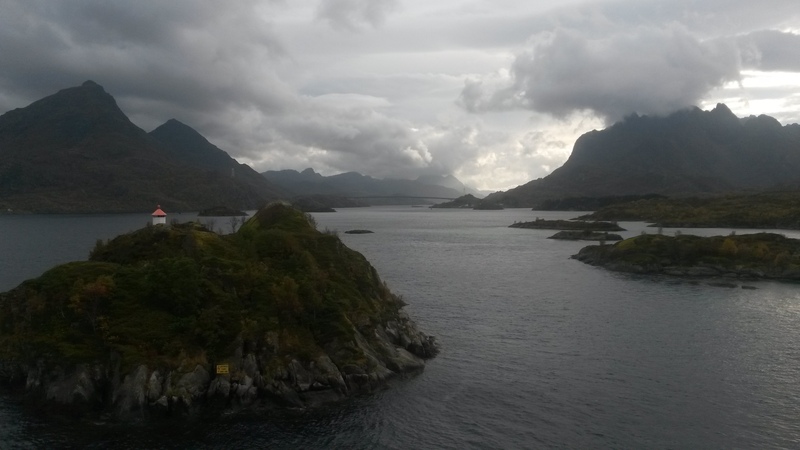 On these islands they achieve to dry cod just with the wind….Roman brought a Rip Curl 5/4/3 and I took the thicker Patagonia R4. For surfing in Unstad probably Roman’s suit was better as he was more agile, less tiring and we could get back in the car and put the heating as we headed out of the water. Moreover in half an hour we could be under the warm shower. However, for days were we did a bit more the cowboy surfer plan, I’m very glad that I took the R4 with it’s full woolen lining. Always cozy in the water and not having such a bad time when coming out, getting changed and getting in the tent and sleeping bag after. However the first days it’s not an easy wetsuit to swim in and even getting out of it it’s quite a challenge. Once it gets to your body shape and you get a bit stronger, then it’s fine. Unstad offers an absolutely gorgeous post card and experience, but we didn’t head all the way to the arctic for surfing in the comfortable beach that you can drive all the way to the sand and is just by a surf camp. 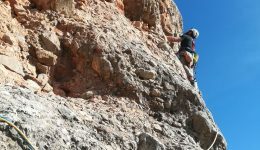 One of the things that most attracted us to this trip was that most beaches don’t really have an access road and are hidden behind really steep mountains and wild terrain. 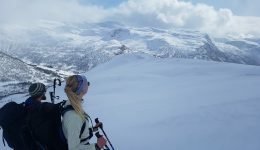 The classic ski touring #earnyourturns can be really applied here, and that’s what we came for. 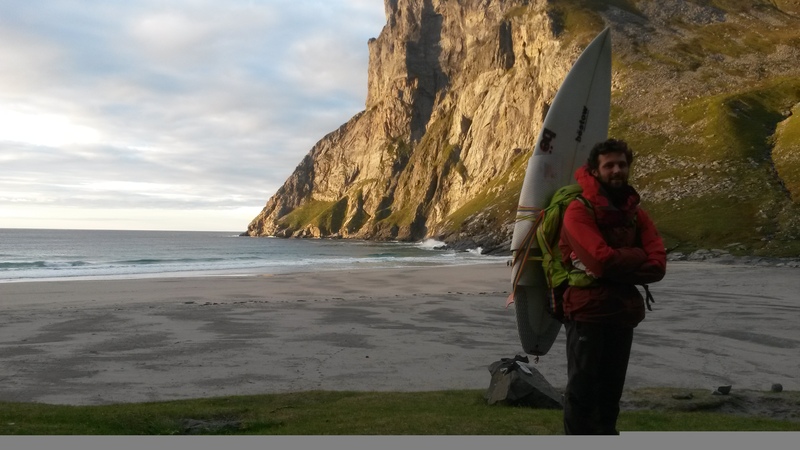 We did our first bivac test in Unstad for checking out our theory and optimizing all this arctic bivac surfing thing. Everything rolled perfect. We even saw some northern lights that night. 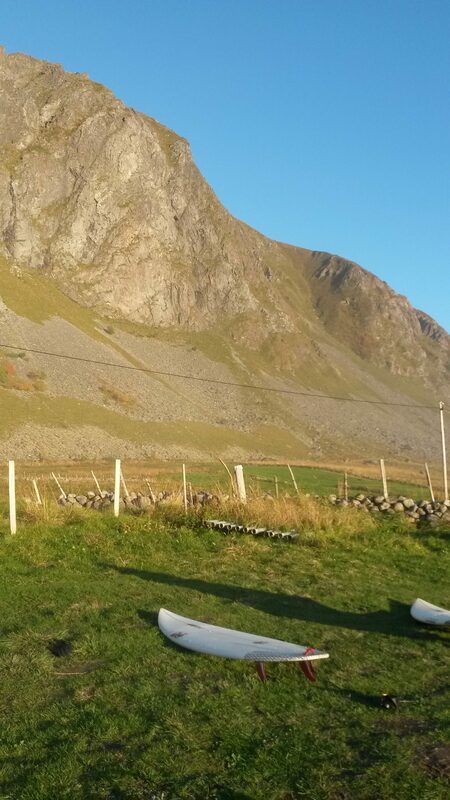 It wasn’t all that horrible to get in the cold and wet wetsuit the morning after and we slept close to ten hours. 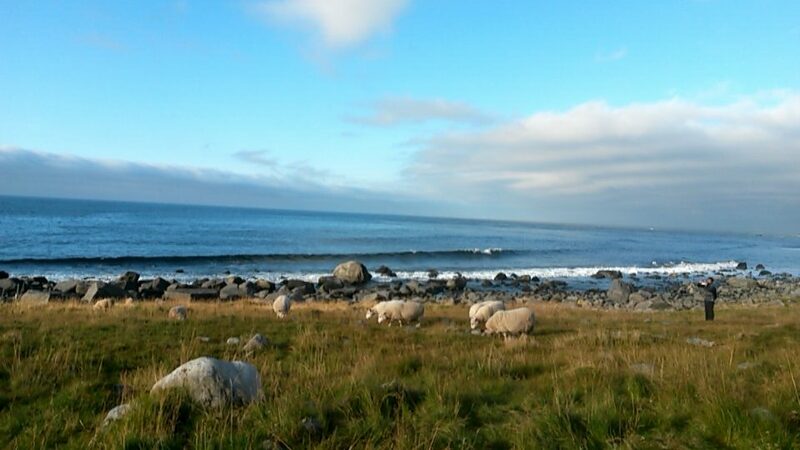 Not even the sheeps seemed too surprised when they woke us up. 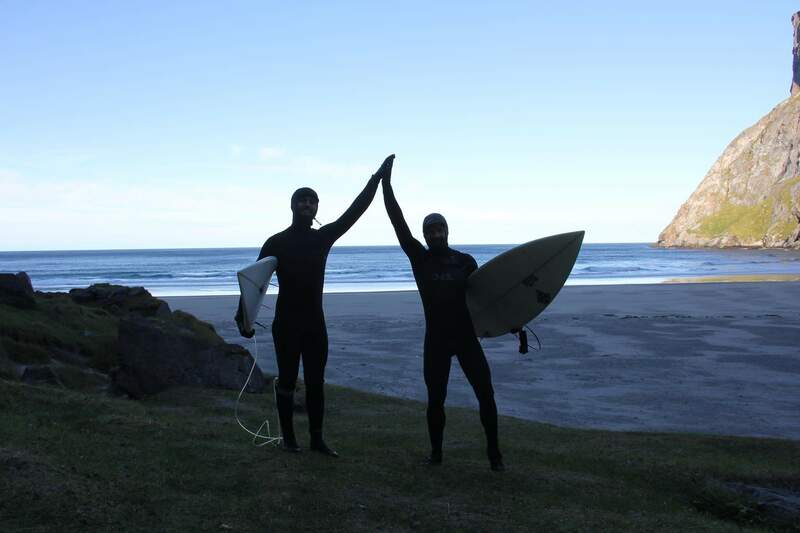 We decided that we were two very tough guys that had passed the ring of fire, completely ready for grabbing the map, the pressure curves, the swell charts and seek distant shores. 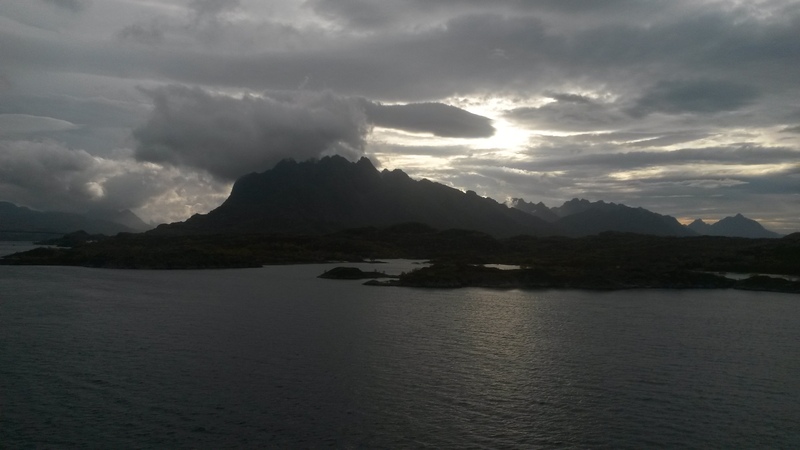 But first, we spent a few days exploring close to home on the islands of Vestvågøy and Flakstadøy, were we found great spots even exploring by foot or bike. We were starting to believe that we were the masters of the map, the canvas and the weather charts. 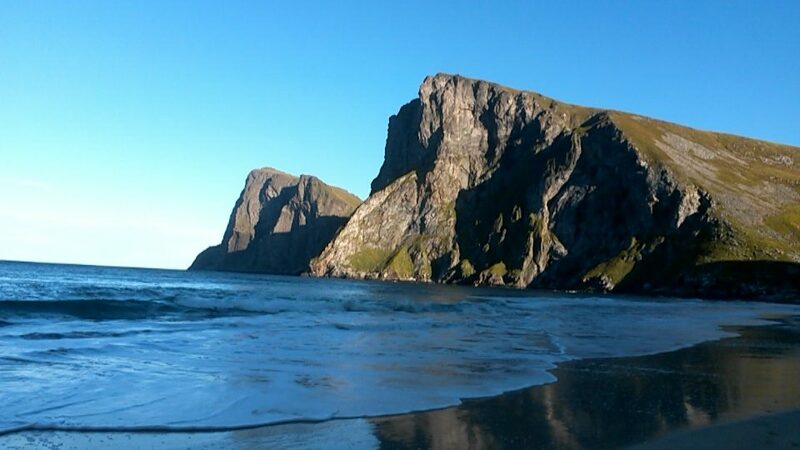 One day Jørgen, the seaman, convinced us to go on expedition to Kvalvika, the famous beach of the cabin from Northern from the sun, especially because he helped the boys rebuilding it and because the whole bay has such a powerful beauty. We couldn’t miss a place called the bay of the whales. The day that we went there, along the road the ocean was completely flat. Not a single curve. 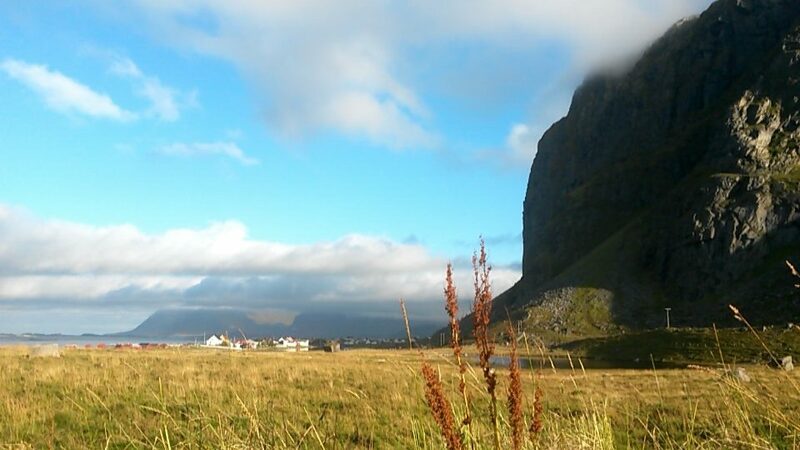 We wanted to spend the night in Kvalvika, as to reach there you have to hike across the mountains. It’s not a super intense hike, but still it takes around one and a half hours. You must leave the car at some point on the side of the road, there were already a bunch of cars there, so we decided to bring our basic bivi stuff. We left the surfboards behind as the ocean was completely flat. Roman was feeling a bit rough on his throat, so he convinced me to approve to bring the flask of rum; good old medicine. Once we reached the col from where we could finally see the beach, everything was so harmonious…Suddenly, towards the end of the way we started to see some big splashing and the back of a whale popping out. The bay of the whales… We started to jump, howl, imitate the whales, hugged each other…we couldn’t believe it. Magical moment. A little while later, we realized that the whale hadn’t really moved much, and after taking out the binoculars, we realized that our whale was a massive flat rock that every time that was hitted by the waves was producing that big splashing and was getting submerged. 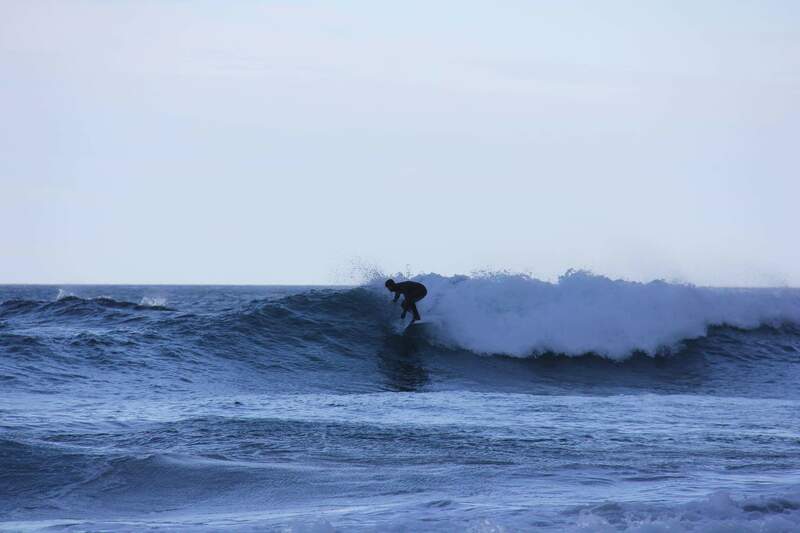 As they were almost no waves, it was really tricky, but whatever, that little moment of happiness was real anyway. When we reached the beach, we saw a few groups camped around little fires, it didn’t took long before a group of danish girls waved us and showed us the cabin. It was quite hidden actually, and there were already four persons installed inside. 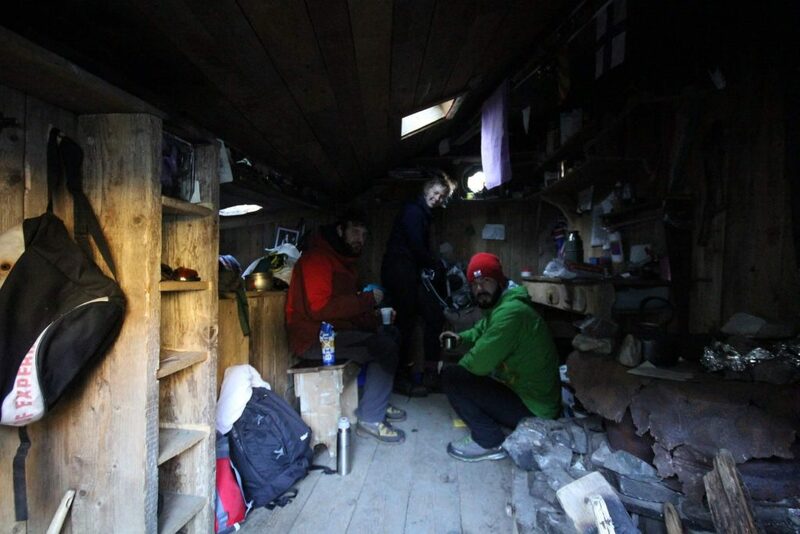 They invited us to come in and also spend the night, but considering that it already looks tight with two people inside, we decided to still go for the Bivac and be on peace on the fresh air. Ok, it seems that northern from the sun has inspired more people that we thought. The beach has become a sort of pilgrimage place, kind of “into the wild 2.0”. There weren’t that many people around actually, but still we got surprised. We were tyred, hadn’t even had dinner, bivac wasn’t on place, the light was starting to fade away, but still we decided to come back quickly for the boards. 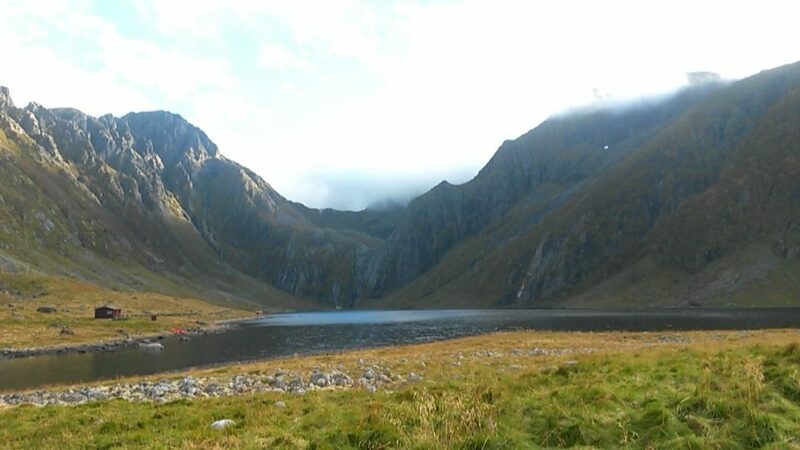 We took a zip or two to the rum flask, just to prevent our throat to get cold…and we started to run up the mountain. 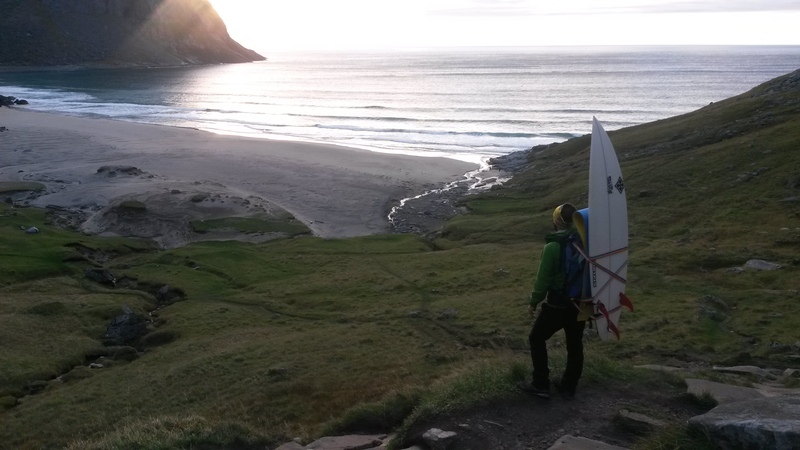 We were surprisingly fast, grabbed the boards, the wetsuit and again another way back. We made it just on time when it really got dark. 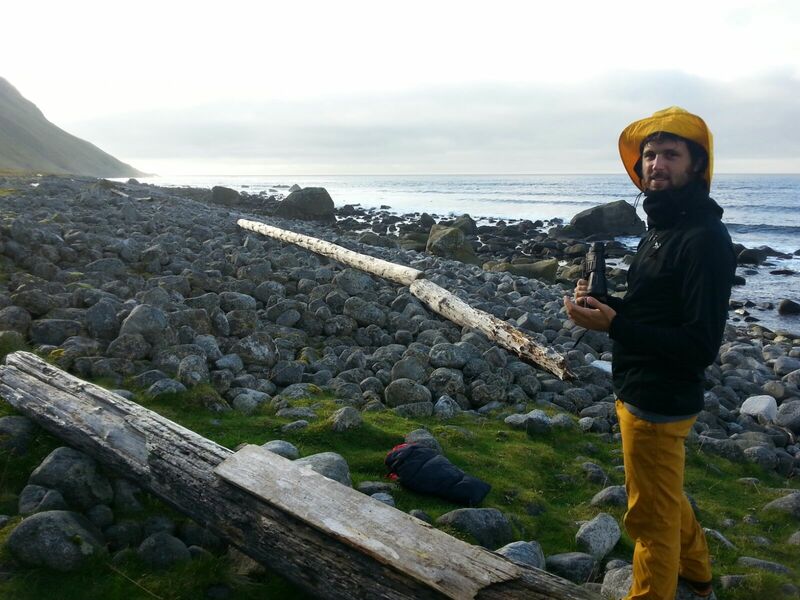 We set our little bivi in between some rocks and time to sleep. 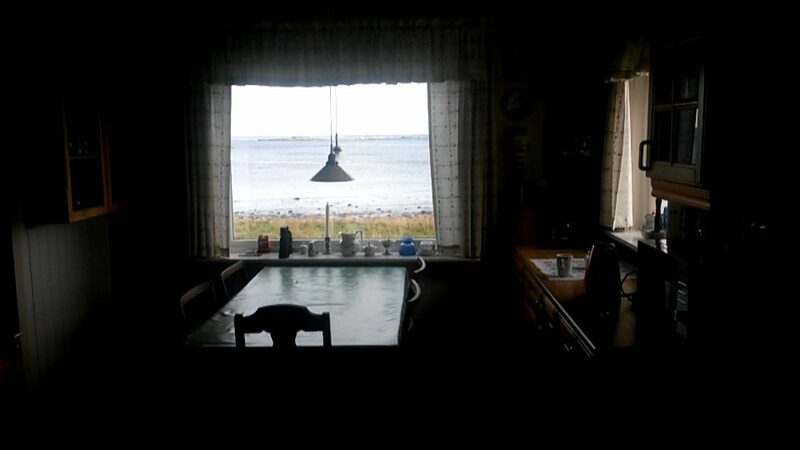 The following morning we woke up by the sound of the waves with the view of three danish girls doing naked yoga on the shore. Ok, now we were on balance with the kama after the whale incident. We ate all our food and got ready for the surf. We were the only ones with surfboards, and the few hikers and campers that were there came all to us like if we were astronauts. Weren’t they also there because of a surf movie? What did they really thought we went there for!? The day before we met a great guy, Yannick, that happens to enjoy photography, so he took the only good photos that we have surfing. Well, at least well framed, balanced and with colours. As you can see we surfed baby waves that day, but they still made it as great memories. We were in for over four hours at almost all the breakpoints of the bay. We made it back to basecamps starving and exhausted. The day before Yannick had talked us into hiking the big right pillar of the beach. He pointed that it was definitely worthy and we took it as a mission. We were quite tired, but the problem is that we didn’t had any food left. Well, we ate what we had, that it was just a few hard bread pieces with sugar from the coffee. Yes, very few hard bread pieces, like three each, with a little mountain of grained sugar on top. As rough and unpleasant as it sounds. We achieved to do the way up pretty fast, with energy and completely psyched with the view. Worthy. However, the way down to the beach and back to the car was just horrible. At some point I had to wait for Roman, because he droped his jacket, and I was so hungry that I ate a few good berries, all the unripe ones and even some grasses. Once on the car, of course we were still far from the nearest village, but when we finally found ourselves with two family size reindeer pizzas, then we knew everything was gonna be alright. 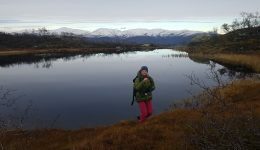 The following week we kept exploring, went all the way down to Å, the village further south in the archipelago and we found some good break points around the coast of Andøya. 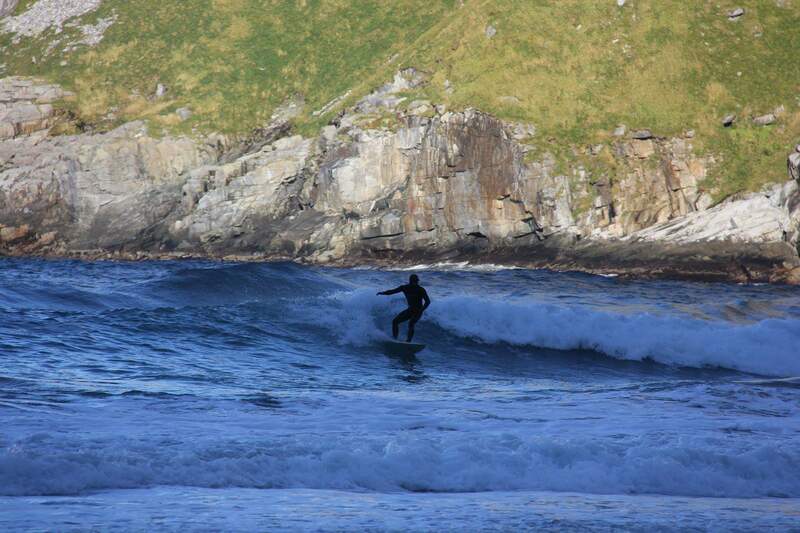 However, probably we found the best surfing in a secret spot quite far north-east. It was one of those days with a strong swell and strong winds, where it’s tricky to find a spot that can hold the swell and the wind. We checked a few places and everything seemed like hell on earth but at Unstad some locals talked us about this place after a while. You could tell it was kind of a secret spot on the way they commented it and by how it felt when we were there. There was a group of ten people surfing but the ambiance was awesome. It’s funny because checking in my files I don’t have pictures of that day, I can’t really remember the name of the spot, and barely how to get there; I hope. Such a powerful bay, it was crazy how it could hold this massive swell and how unaffected it was by the wind. 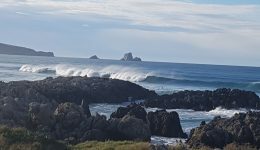 On the distance we could see really big waves, holding size and shape, but we all surfed on a granite boulder beach, with waves around a meter and a half that started with a solid barrel and continued with a long wall. It must have been among my best sessions of that year, and I remember so well the landscape, the break points, the mountains around, how it felt the air, the ocean, the lights that day…. 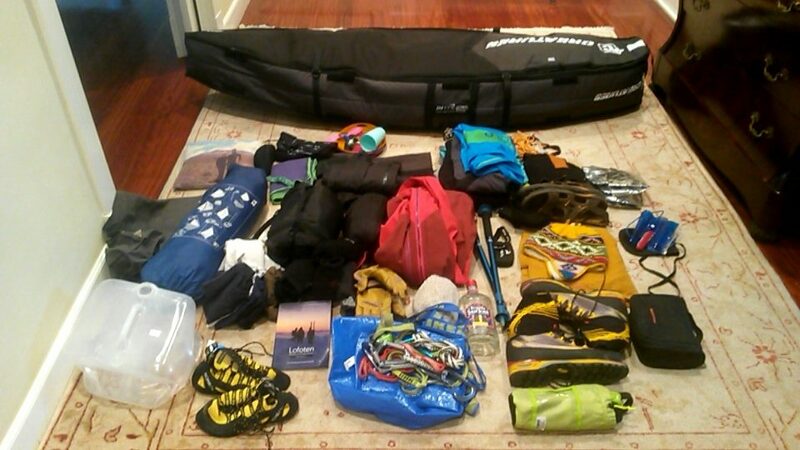 I almost feel like bringing back up there my surfboards with my skis in a few weeks just for been back there again. 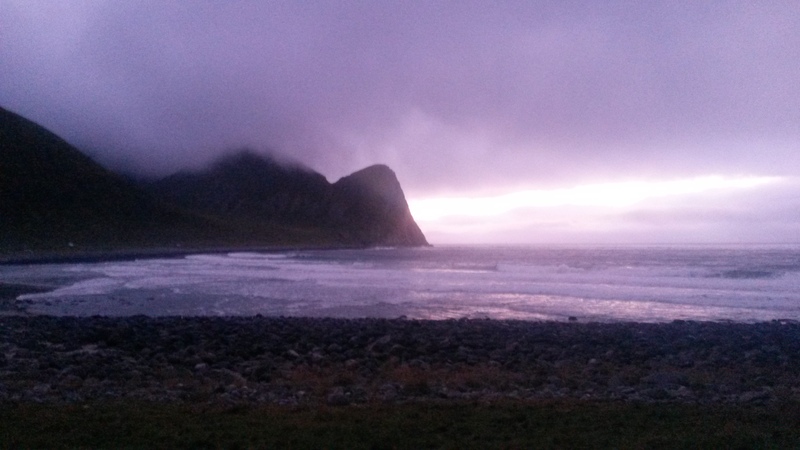 ONTHEBELAY Arctic days on the Planks EP3: Senja: about beauty and learning through pain. 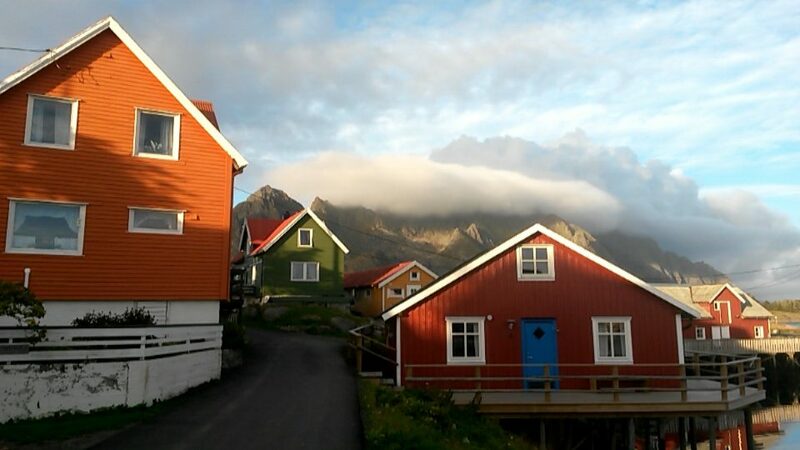 Lofoten is an incredible place and not everything is surfing there. 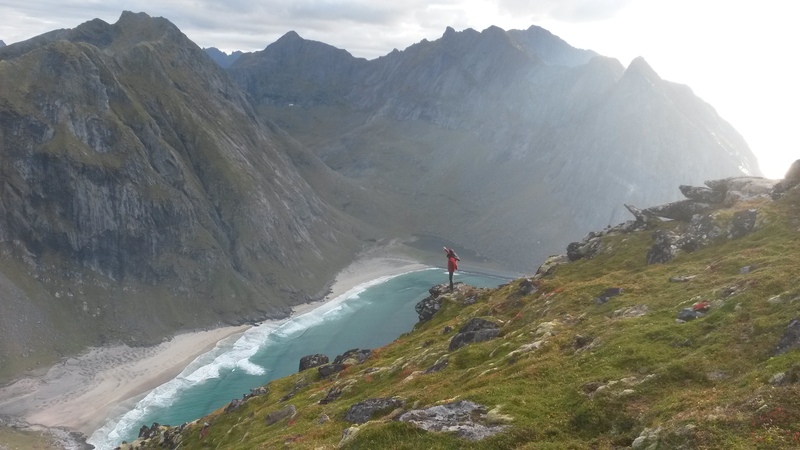 Many days we did hikes, went to mountain refuges, went fishing… Lofoten is for sure one of the places in Europe with one of the best terrains and scenery for doing hiking traverses and for technical alpinism. 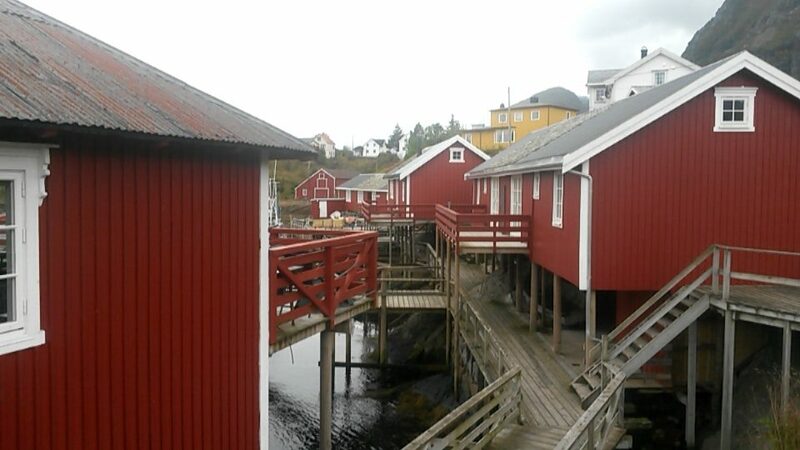 On top of that all of it’s villages are worth visiting and even there are rest activities as cool as whale watching, diving with orcas, enjoy the local food and even better, do it by the fireplace, under the blanket looking at the storm through the window with hot chocolate. That one turned to be our favorite. 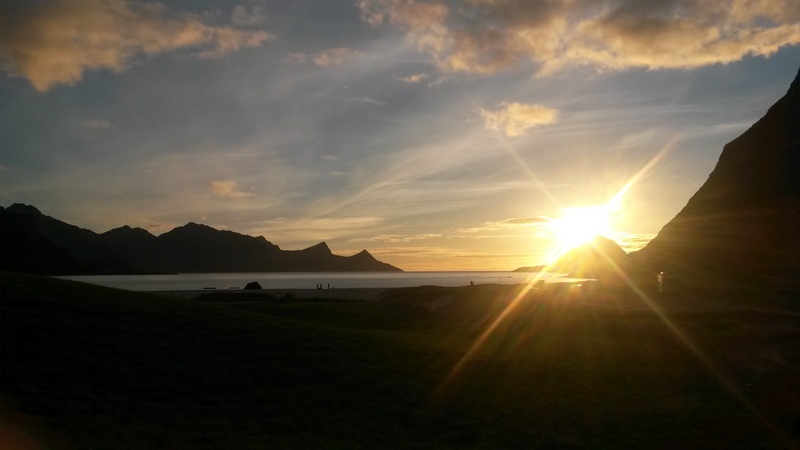 I’ve been there three times, and I can say that turism grows constantly year after year; however Lofoten still glows that special charm. The place where the air feels fresh, the lights are intense, the ocean roars against giants of granite and where tough folks with few words live full of genuine kindness. 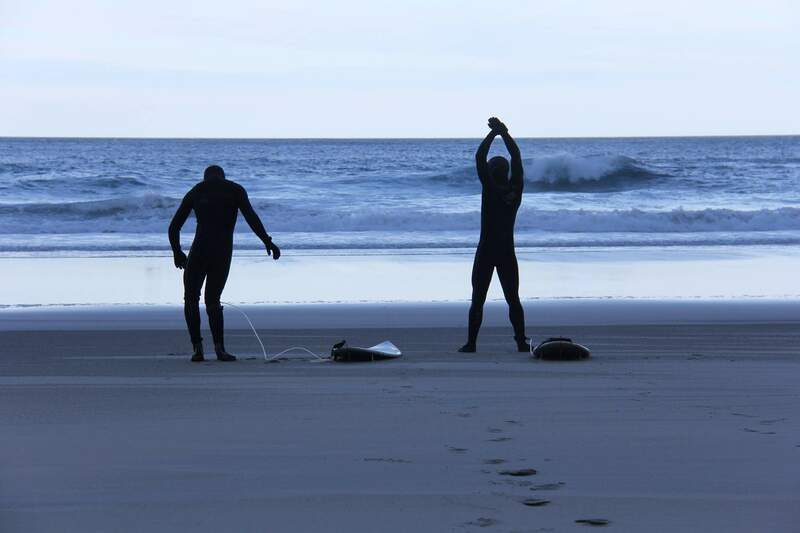 This entry was posted in Adventure Guide and tagged Surf. Bookmark the permalink. 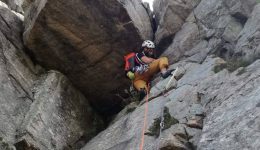 ← Discovering Ranero: Adventure climbing in Bizkaia.